Our high-quality matte metal 4-piece locking grinder looks and grinds uniquely. 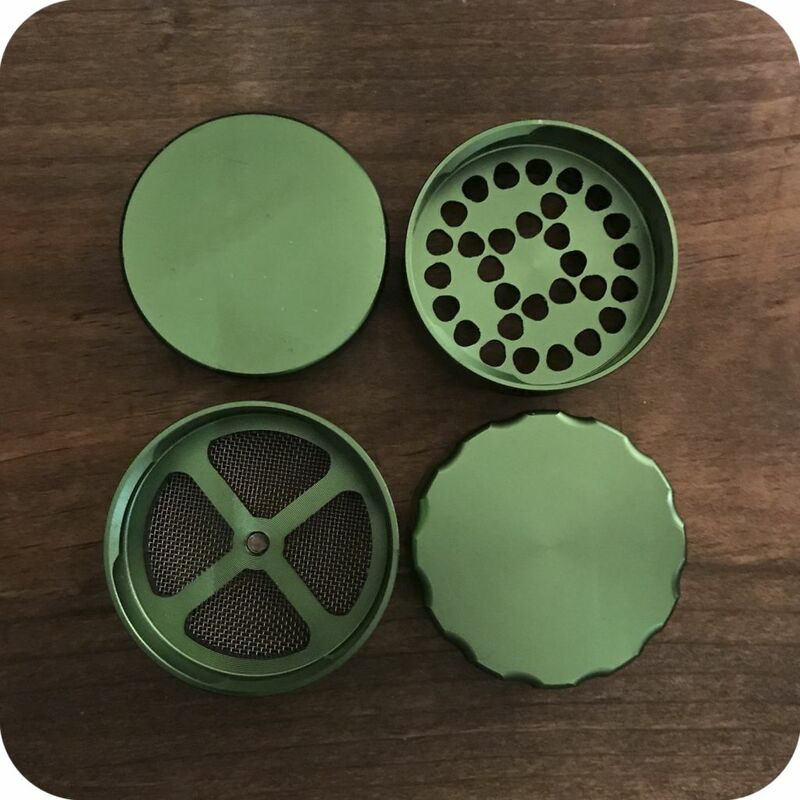 This innovative grinder uses a simple one-twist locking mechanism to open and close each chamber thus increasing durability. Its teeth are like no other, the design is ingenious, and its matte finish further marks its individuality. 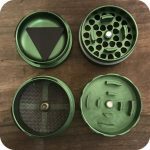 The first chamber contains razor-sharp teeth which grinds your legal herb to a perfect finish. 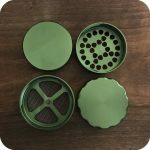 You’ll never have to hand-tear your legal herb before loading this grinder up because of its strategically-placed teeth. These unique teeth also prevent “blind spots” in the grinder. 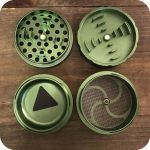 Herbs tend to get stuck in “blind spots” which prevents thorough grinding. Located beneath the teeth is the second chamber where your finely ground herb collects. 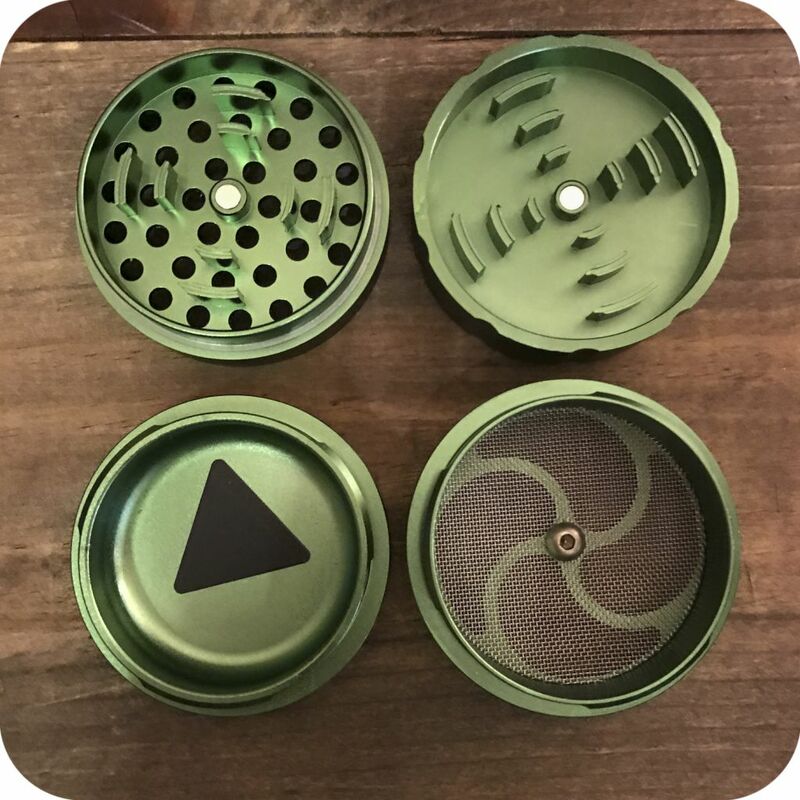 This second chamber contains a fine mesh screen that filters the best part of your herb into the final chamber. The final chamber is where the smallest particles of herb called pollen collects. 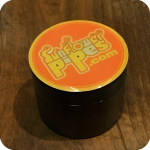 Pollen is perfect for sprinkling over a bowl, in a rolled herb cigarette, or just smoking by itself. Other grinders have screw-on pieces which ultimately get clogged up and threaded incorrectly. 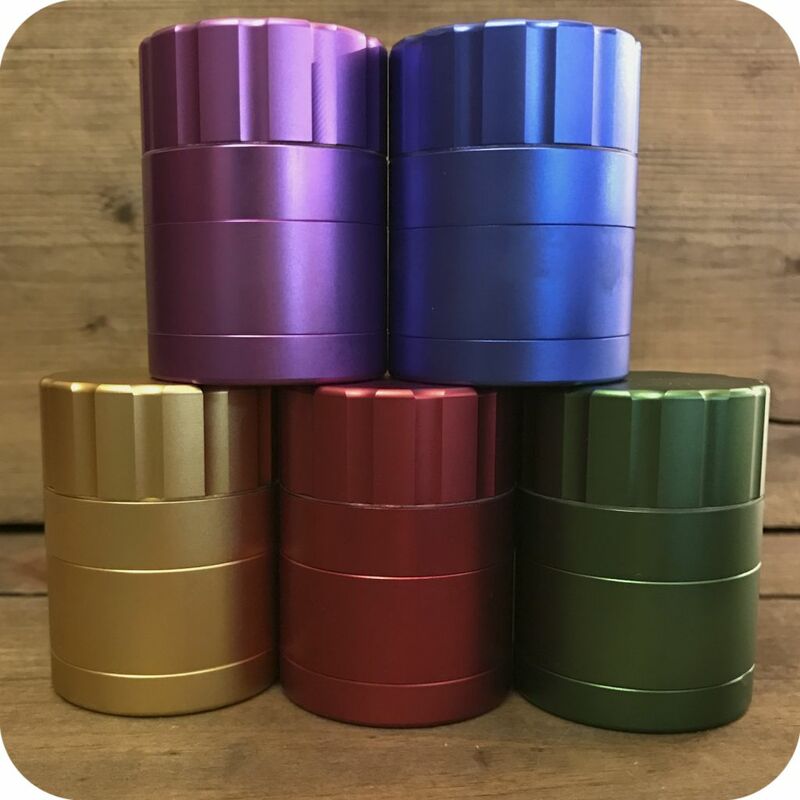 This grinder has an easy-locking mechanism which results in a longer lifespan. 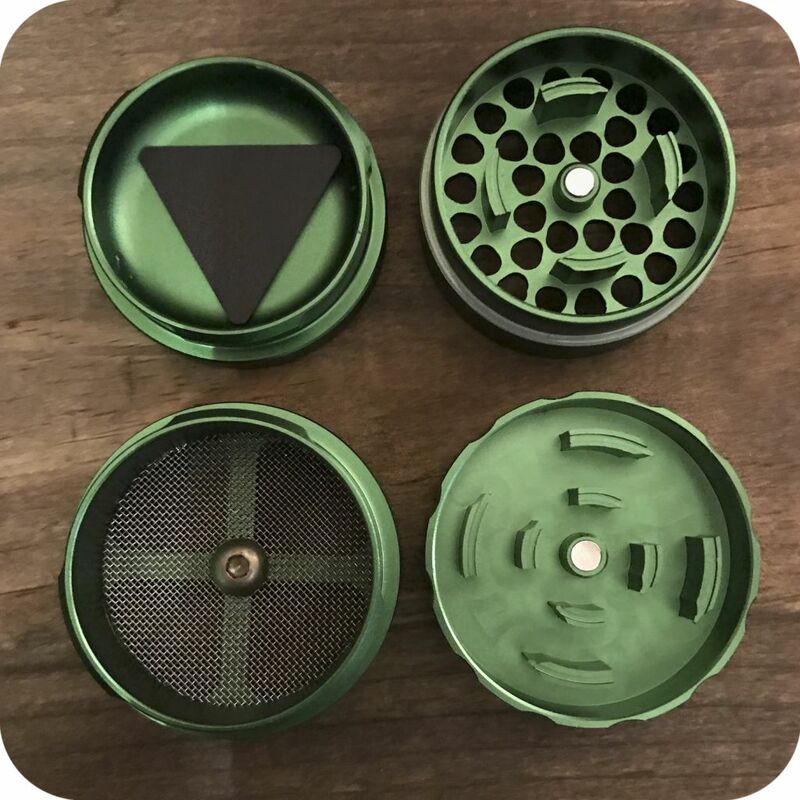 The top chamber of this grinder opens and closes magnetically. 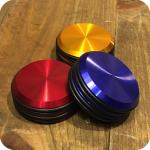 Loading material in is quick and effortless because of this magnetic top. It’s also great for convenience and portability. 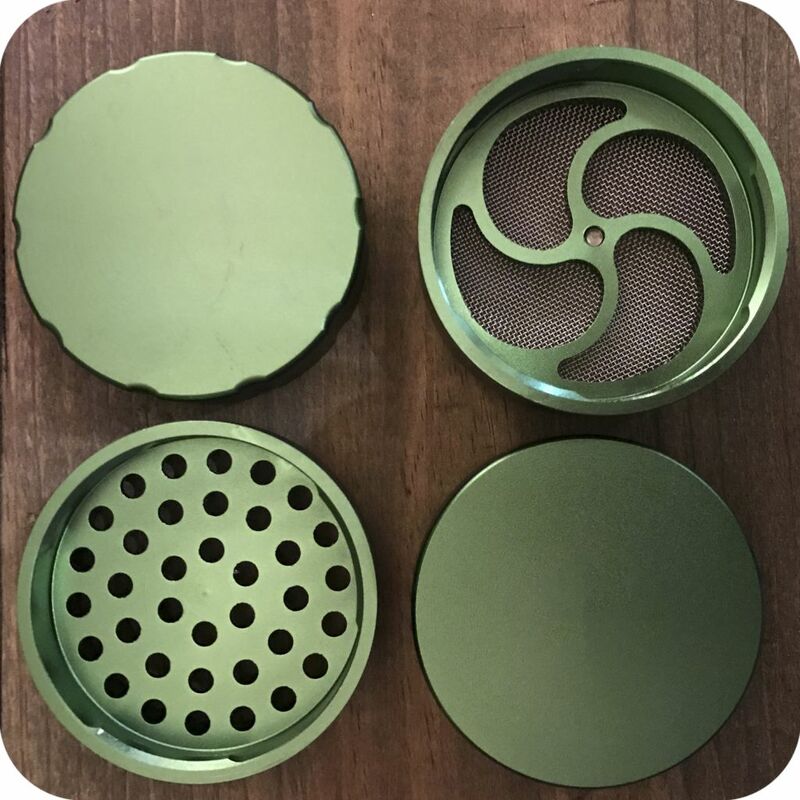 Also included in this grinder is a small pollen collector tool. This tool is used for scooping and loading material into smoking devices. 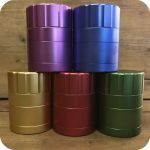 With the sleek, sophisticated design, and easy assembly and disassembly, you really can’t go wrong with this handy grinder. 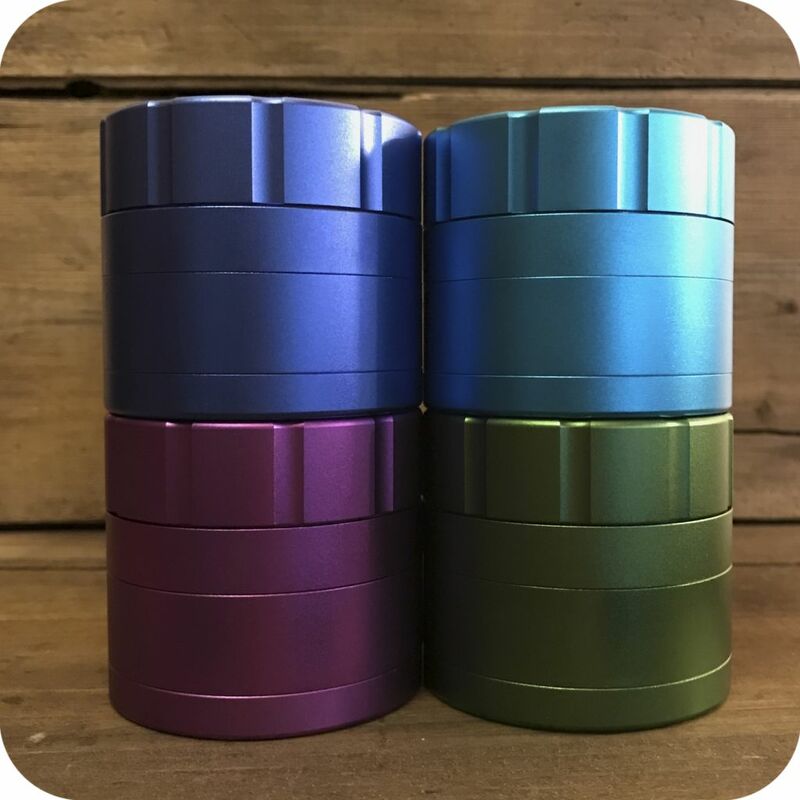 This grinder is available in Teal, Navy, Pink, and Green. Please specify which color you’d like to receive in your order. Tags: Brooklyn, brooklyn glass, brooklyn smoke shop, bushwick, bushwick smoke shop, Grinder, Metal Grinder, new york, new york city smoke shop, nyc smoke shop, pipes, Sunflower Glass Co, Sunflower Glass Company, sunflower pipes, williamsburg, williamsburg smoke shop.